Moving into using social media for brick and mortar stores positions them for both traditional customers and online shoppers. 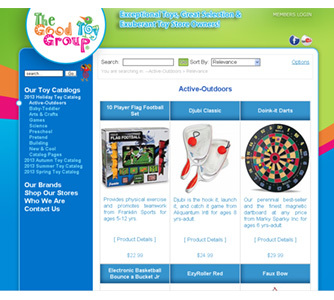 TGTG offers an inexpensive online catalog, personalized to your store. Links on both covers takes shoppers to your online site with ease. One year license for use, the e-catalog works well on websites, facebook, in newsletters and other online formats. To compliment each piece, we provide web ready images along with the product information. ready for you to post onto your website. This allows for quick and easy uploading of new products to your site and timely updates for your customers. Click here to see the layout of this support.